The NFL season is well underway and some trends are beginning to emerge a bit. These trends can point out players who are getting more or less opportunities than were expected heading into the season. Between trends and numbers and some guys who are just generally under the radar, it can help build a strategy for the next couple of weeks as well as the rest of the year. Some of these names may be well known while others are a bit obscure, but add them to your watch list. Just be sure to pay attention to the action to take, some of these picks are for deep leagues only. 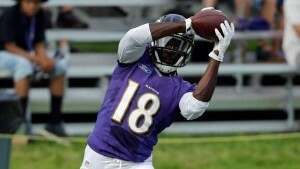 Grab Perriman today, once he hits the field he'll cost a lot more. Need Trade Help? Here Are Some Tips! 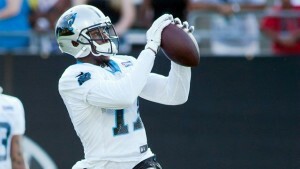 Once Funchess and Newton connect, you'll wish he was on your team. Escobar has served mainly as a foil to Jason Witten over the last year plus, stealing the occassional touchdown. With Witten on the shelf now, Escobar could be more. This would be more enticing if Romo were playing, but someone will have to catch passes and bodies are continuing to drop in Dallas. I think that Escobar is a short term solution if Witten can get healthy quickly, but his receiving ability makes him a wild card even when everyone is healthy. Action: Rental with potential for more. Do Not Play These Guys On DraftKings In Week 3.